The party recognized the amulet, they had seen it sitting on the desk in the Chamberlain’s office; now it hung around the Chamberlain’s neck, clutched against his breast by gnarled, pale hands, as his thin lips curled into a cruel smile. “The Seal of Oshkosh is mine!” He cackled. “Dammit, why didn’t we take that amulet when we saw it?” The Sorcerer sighed. The Barbarian hefted her blade and snarled. “Doesn’t matter, it will be ours after I pry it from his dead hands!” She let out a battle cry and charged the frail looking man. Why didn’t they pick up the amulet? The GM had placed it on the desk in the room, hoping that the players would take it. But they missed it, they moved around the room with little interest in the bland desk that to the players looked like just set dressing. The GM had spent too much time describing the books on the bookshelf, that added lore to the world, that he had spent all night coming up with titles for, and yet didn’t lead anywhere plot wise. But what does this have to do with your campaign? Describing an item or objective either in more detail or in a way that makes it seem more desirable is an easy way to gently lead your players in the right direction and is a handy weapon in the GM’s arsenal. Players don’t want to feel like they are forced into actions, down a certain path, or into making specific decisions. Using hints in the descriptions and layout of items in their adventure lets players retain the feeling that they are discovering their own path, that they’re piecing together a mystery, while they are playing directly into the GM’s plot. But what can be used to lead players down the right path can also be twisted to lead players astray. Excessive description of something could create a red herring, taking players down a path to a trap or a location they normally wouldn’t travel to on their own. If one candlestick is a lever to open the secret passage to the next room, and the other candlestick springs a trap, describe the second as highly polished, with newly placed candles, just waiting to be lit. See how your players make their decision on which to pick up. Perhaps describing a staff gloriously will entice your players to pick it up, even if it’s a cursed item. Describe a staircase with great detail, let the players feel as if it’s trapped, whether it is or not. Make them feel that the statues lining the walls may come to life. Overly describe everything, describe them with dread. Make your players feel like they’re never safe. Now an adventure through another run-of-the-mill mausoleum becomes a highly stressful traipse through a nightmare. Every door becomes a conversation, will this one be a trap? Will these statues come to life and attack us? Are those bones actually a skeleton waiting to pounce? 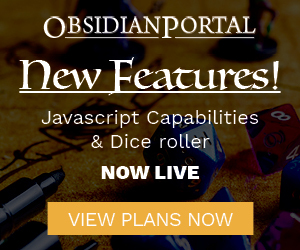 As you can see, descriptions – and specifically what you describe – can help your GMing, your players, and the campaign as a whole. Next time you plan on describing a random chest think about how it helps your plot, how it helps your characters. Does it change the mood? Does it change the adventure? If not leave the chest alone. I feel like the info about Chekhov was misleading… No mention at all about how he later graduated with honors from the Academy, was promoted to lieutenant while serving on the Enterprise, or the period when he was controlled by Khan Noonien Singh. The rest was good though. Finding the right balance of descriptive detail is something I struggle with. It can definitely make the difference between a polished, highly compelling narrator and just a regular ol’ GM.